Individual items can be purchased separately. Healthy Aging and Telom﻿ere Support System. Everyone values the importance of family and that we should all have the most quality time with those we love. By choosing to use our longevity solutions you can give yourself and your loved ones the best chance for a happy healthy future. Our solutions are truly "heart" backed science. For most people aging remains a progressive degenerative process beginning at about age 35. Degeneration of aging is dominated by uncontrolled oxidation, chronic inflammation, progressive pain and disability. Though we may be living longer we are not enjoying vitality and health during those extra years. The best approach to improve quality of life in later years is by offering lifestyle interventions that support tissues and organs to reduce some biochemical effects of aging, inhibit development of degenerative disease, and extend healthy lifespan by about 20 years. Maintenance of telomeres and promotion of neurogenesis are cutting edge research projects by Isagenix on fundamental processes of aging. In 2010 Isagenix formed a partnership with Dr. Bill Andrews to investigate the effects of botanical formulations on telomeres. Dr. Andrews was instrumental in research on telomeres that won the Nobel Prize in Medicine and Physiology in 2009. This resulted in Product B™ IsaGenesis™. Brain cells cannot divide and replicate, so copious stem cells are important to maintain the brain as they replace worn out and damaged neurons in a process termed neurogenesis. Neurogenesis is a focus of the partnership between Isagenix and Dr. Michael Colgan in 2011. This resulted in the Brain Boost and Sleep Support System. 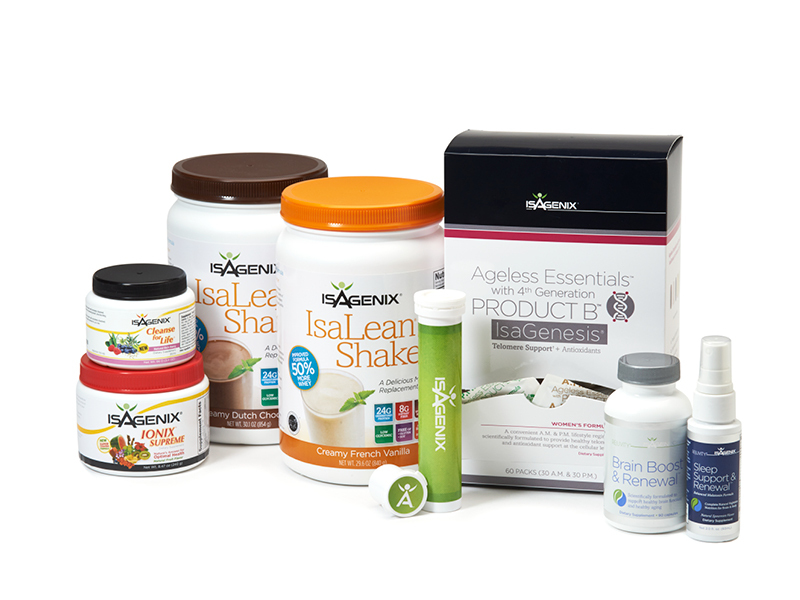 Together with the health base provided by the Isagenix Cleansing Systems to remove toxins, the IsaLean® family of protein's and Ageless Essentials micro-nutrients to support muscles and organs, this research sets Isagenix ahead of all other nutritional companies in the quest for healthy aging.